SLFP electoral organisers who attempt to create divisions in the party will loose their posts in the future, UPFA General Secretary and Fisheries and Aquatic Resources Development Minister Mahinda Amaraweera said. He said that the party has already received over 5,000 applications for new organiser posts for a number of electoral districts and action will be taken to appoint new district party organisers those who highly qualified and loyal to the party. Interviews to select new district party organisers will be conducted shortly as instructed by the President. He further said a detailed report of SLFP district party organisers those who made controversial remarks about dividing the SLFP and attempting to destroy the party will be submitted to President Maithripala Sirisena in this week. 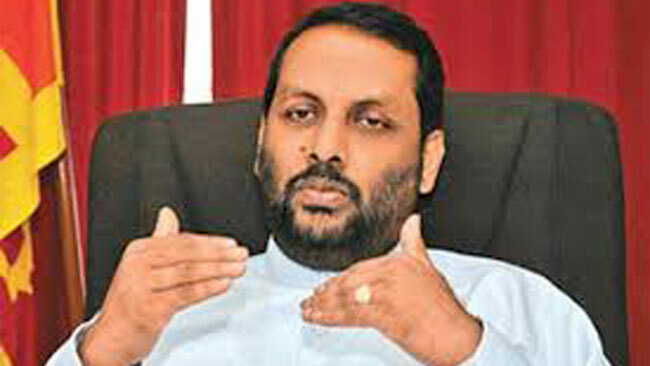 “It is necessary to take stern action against those attempting to divide the SLFP without considering their status. Otherwise, the party will have to face a severe loss and destruction,” he added. He said that he thinks that measures taken to bring back the strayed SLFP members and reunite the party has now become unsuccessful. The best solution is to remove the party members if they acted in irresponsible manner to achieve the personal agendas of some people violating the party rules and regulations and appoint talented, qualified people those who love and loyal to the party for the various posts of the SLFP. Is this man for real? How many times have we heard this threat. No one takes any notice of him.